An excellent burrow of earth. Bequeathing the hole to himself. Demanding the burrow in turn. The Rabbit returned to his hole. 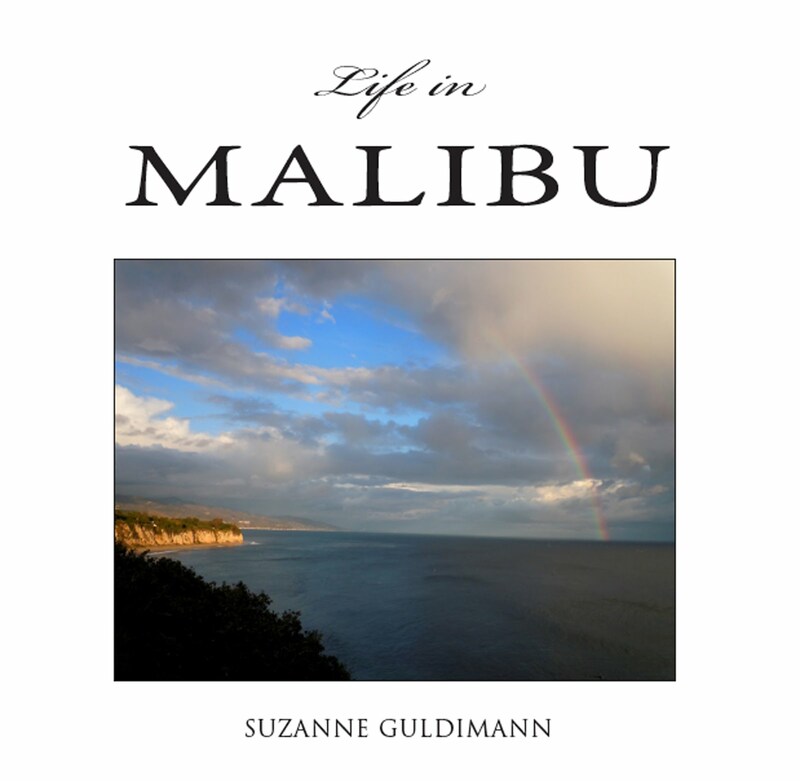 We are blessed with a wide variety of four-footed wildlife on Point Dume. Coyotes, gray foxes, raccoons, skunks, opossums, long-tailed weasels and an assortment of native rodents live here, largely unseen by humans, but the cottontail rabbits seem like neighbors, they live alongside us, as well as in that separate, unseen world that just happens to occupy the same space as the one we inhabit. 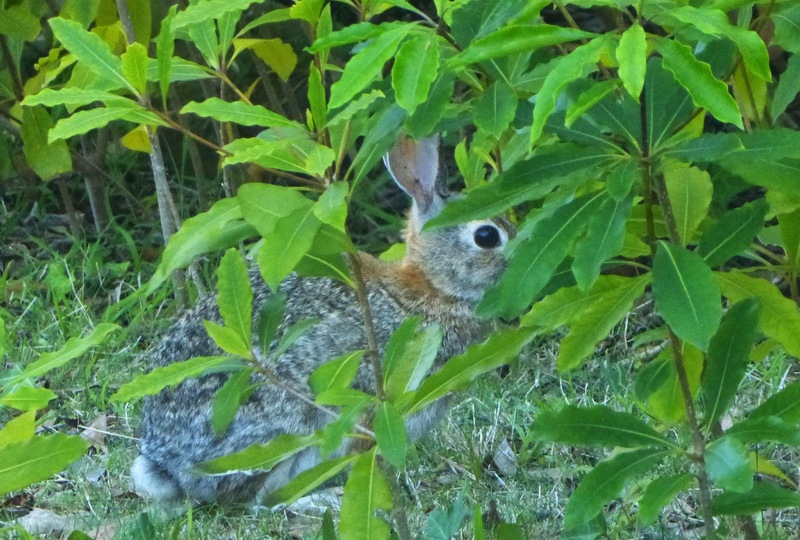 When I needed a photo for the top of the page I knew just where to find the front yard rabbit this evening. She's lived here for years and has no fear of the resident humans or the family dog. However the shadow of a hawk passing overhead or an unfamiliar sound will send her instantly into hiding. It's a tough life at the bottom of the food chain, and any rabbit who lives to be old and wise knows not to take chances. The front yard rabbit performs her disappearing act, vanishing instantly when she hears an unfamiliar sound, in this case, the click of my camera. Rabbits are on the menu of every native predator and are also the frequent victims of domestic animal attacks, poison, and vehicle strikes—the zigzagging dash at speeds up to 20 mph they've evolved to evade hunters doesn't help them to avoid cars. Every second may be their last, but despite their precarious existence, or perhaps because of it, they give the impression of enjoying life to the fullest. They lounge in the sun like contented house cats and nibble the flowers with evident enthusiasm. They don't dig burrows or form colonies like other rabbit species, but they seem to enjoy each other's company and often congregate in small groups (flocks? herds? pods?) of three or four. The front yard rabbit lounges in a sheltered spot, looking for all the world like a contented cat. 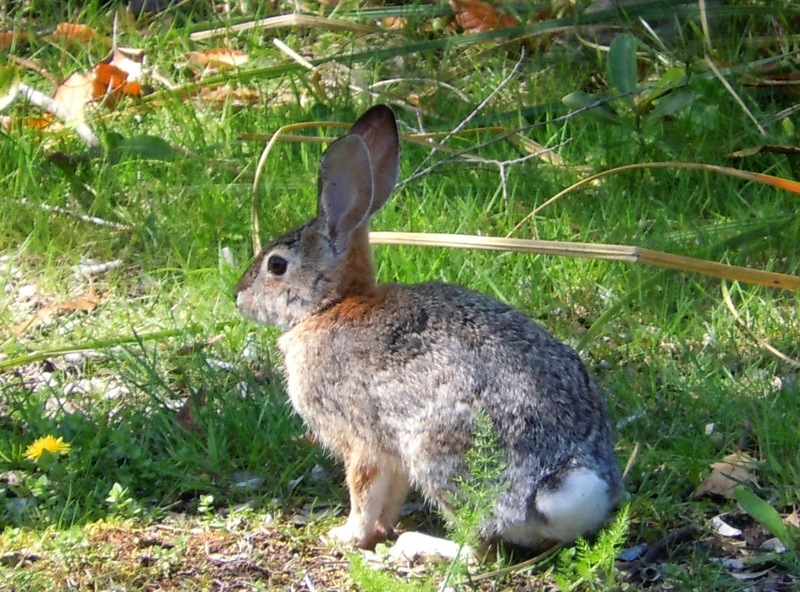 Cottontail courtship involves a cross between tag and country dancing, with elaborate leaps and figure eight patterns. Occasionally, an importuned rabbit becomes annoyed and boxes the aggressor rabbit's ears, but on the whole, rabbit society is remarkably easy-going. 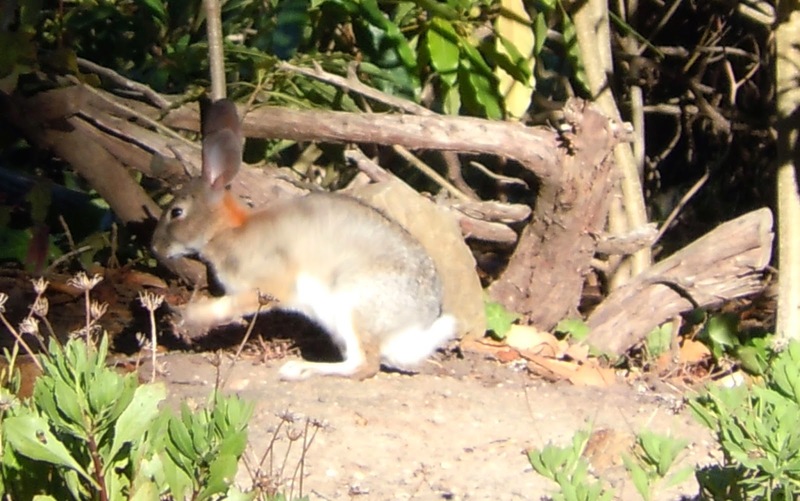 There are two types of cottontail rabbits in the Santa Monica Mountains, S. audubonii and S. bachmani. S. Audubonii is the more common species. S. bachmani, the brush cottontail, is smaller, shyer, wilder. Brush cottontails stick to the chaparral. Desert cottontails have adapted to urban life and are found wherever there is enough food and shelter. 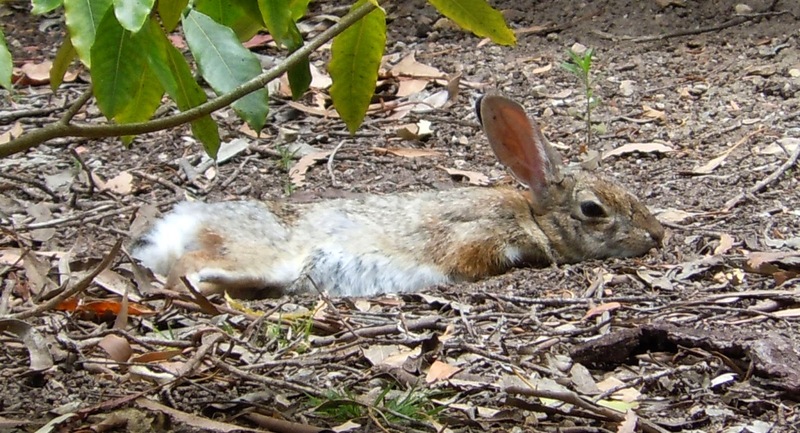 This can be a problem, since the rabbit's idea of dinner includes just about everything humans like to grow for food and many ornamental plant species. "Oh look, a salad bar!" Around here, everyone agrees that the pleasure of having rabbits in the garden is greater than any rabbit-related aggravations, but there was a time when one of the neighbors did mind and poisoned everything in sight. There were no rabbits for many years. It was a reminder that humans recognize property lines but wildlife does not, and that poison can spread to a much wider area than the poison user may realize. Not long after that individual departed, the rabbits began to return. We see them almost every morning and every evening all year long, eating, resting, playing, dozing in the sun. They may be small and defenseless and meek, but they love life and live it with joy. The front yard rabbit dances by the light of the moon.